Then-Con­gressman Mike Pence, R-Indiana, speaks on “The Pres­i­dency and the Con­sti­tution” on Sept. 20, 2010, in Phillips Audi­torium. Vice Pres­ident Mike Pence has accepted an invi­tation to deliver Hillsdale College’s com­mencement address. The college announced on Monday that Pence’s address to the class of 2018 for its 166th com­mencement cer­emony is at 2 p.m. on May 12 in the Biermann Ath­letics Center. His selection marks the end of a more than eight-month search by the senior class officers and the college president’s office for a com­mencement speaker. 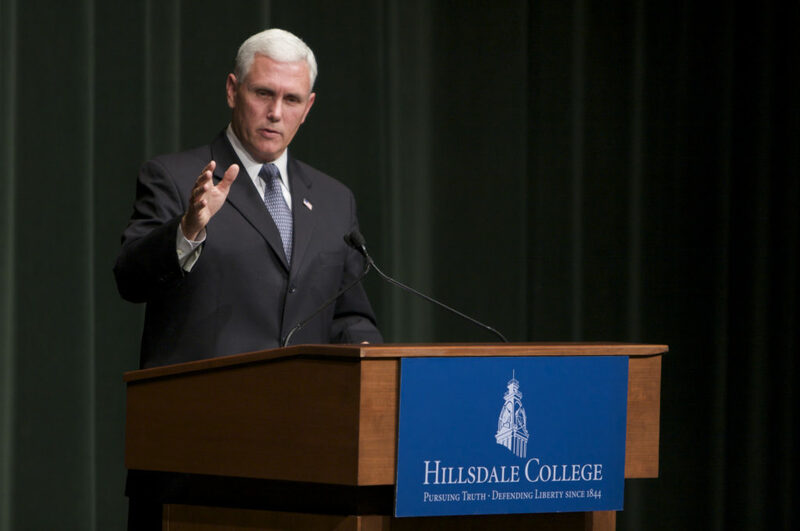 Asso­ciate Vice Pres­ident and Dean of Edu­ca­tional Pro­grams Matthew Spalding said Pence expressed to him recently that he has wanted to visit Hillsdale again and that he chose Hillsdale despite invi­ta­tions from many col­leges this year. Stu­dents and faculty expressed enthu­siasm for Pence to speak at com­mencement, noting it as an important moment for the college. 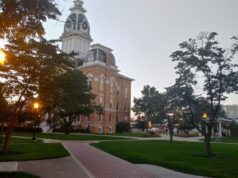 Pol­itics department chairman Mickey Craig agreed, observing that national leaders are becoming more common on campus as Hillsdale’s rep­u­tation around the country grows bigger. 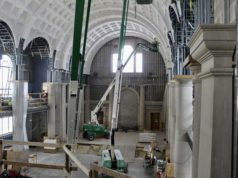 That may be on purpose, eco­nomic department chairman Gary Wolfram said. Although Pence’s speech at Hillsdale would mark his first visit to the college as vice pres­ident, he pre­vi­ously spoke on “The Pres­i­dency and the Con­sti­tution” on Sept. 20, 2010, in Phillips Audi­torium, as a con­gressman. Less than a year later on April 16, 2011, he par­tic­i­pated in a town hall on “Eco­nomic Liberty and the Con­sti­tution” at the Allan P. Kirby Jr. Center for Con­sti­tu­tional Studies and Cit­i­zenship in Wash­ington, D.C.
For awhile, Hillsdale has hoped to bring Pence to campus. Arnn said he told Pence he wanted him to speak at the ded­i­cation cer­emony of the Christ Chapel in 2019, because he “is a dig­nified figure and serious about his faith.” This year’s senior class officers, however, con­vinced him to invite the vice pres­ident to campus early. Addi­tionally, Hillsdale alumni and stu­dents have worked with Pence in the vice president’s office and when he was gov­ernor. Stephen Ford ’10 cur­rently is a speech­writer for Pence. Last year, Pence addressed Notre Dame Uni­versity in Indiana and Pennsylvania’s Grove City College, a private, liberal arts college that does not accept any federal money like Hillsdale. In them, he called for the grad­u­ating seniors to be servant-minded leaders who put to work the prin­ciples they learned at their respective insti­tu­tions. Prior to Pres­ident Donald Trump selecting Pence as his running mate in July 2016, the 48th vice pres­ident of the United States served as the 50th gov­ernor of Indiana from 2013 – 2017. He imple­mented the largest tax cuts in the state’s history and advo­cated for more funding of preschools, voucher pro­grams, and charter schools. Although Pence has made his way in Wash­ington, D.C., he is a Midwest native, born and raised in Columbus, Indiana. Addi­tionally, he attended Indiana’s Hanover College, a private, liberal arts insti­tution like Hillsdale. After briefly serving as an admis­sions coun­selor at Hanover, Pence attended the Indiana Uni­versity Robert H. McK­inney School of Law in Indi­anapolis and earned his juris doctor. He prac­ticed law and then ran unsuc­cess­fully for Con­gress in 1988 and 1990. He later worked as pres­ident of the Indiana Policy Review Foun­dation, a state think tank, and had his own syn­di­cated radio talk show and weekly tele­vised public affairs program. After Pence spoke at Hillsdale in 2010, the college pub­lished his speech in the fol­lowing month’s issue of Imprimis. In it, he dis­cussed his view of states­manship and argues for a limited gov­ernment and a strong mil­itary. Lane said the senior class officers spoke with many of their peers, dis­cussing with them what they would like to see in a com­mencement speaker. For him, Pence is a per­sonal hero, and he said he is proud and honored that Pence will address his senior class with the help of Arnn and his office. 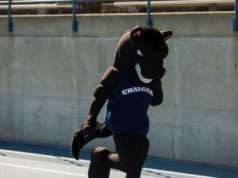 Tickets to the com­mencement cer­emony will be available only for grad­uates and their fam­ilies, Hillsdale employees, and friends of the college. Atten­dance to the cer­emony by under­classmen and any oppor­tu­nities to meet Pence still are being dis­cussed, said Emily Davis, media rela­tions and com­mu­ni­ca­tions manager. As stu­dents have waited with antic­i­pation to learn who will be the last to address the class of 2018, Lane said he hopes stu­dents will be thankful and eager to share the stage with Pence next month.